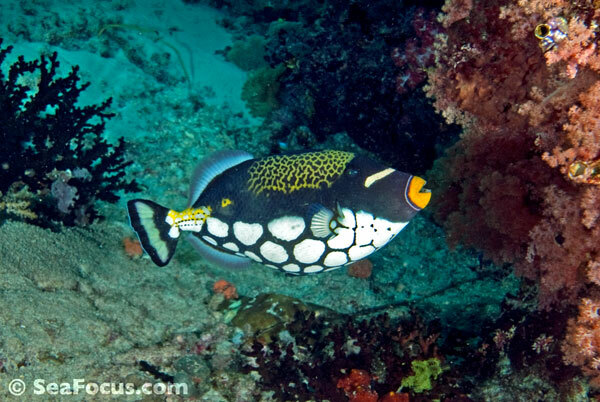 There are around 40 species of triggerfish found on coral reefs and in surrounding tropical and sub-tropical waters. 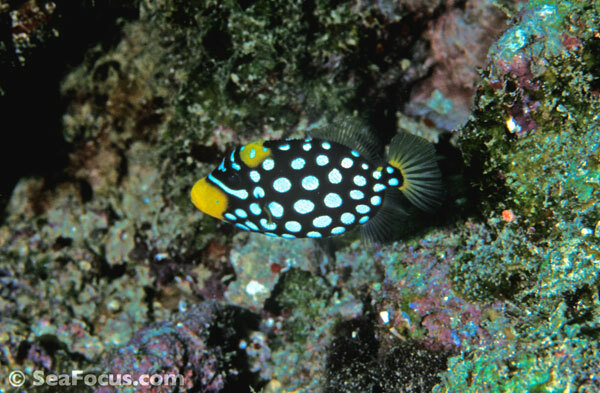 They belong to the family Balistidae and there are a dozen genera in the family. 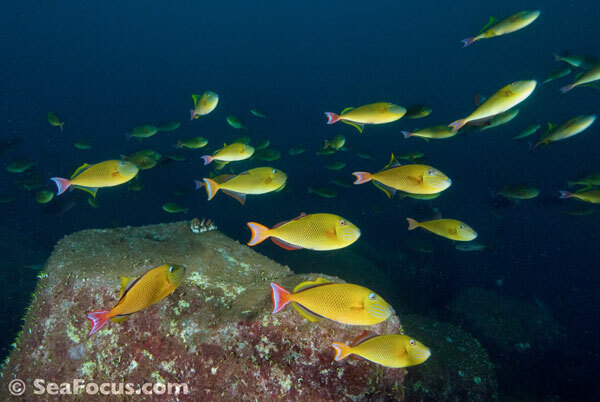 The highest numbers are found in the Indo-Pacific and in shallow, coastal waters although there are a few pelagic species. 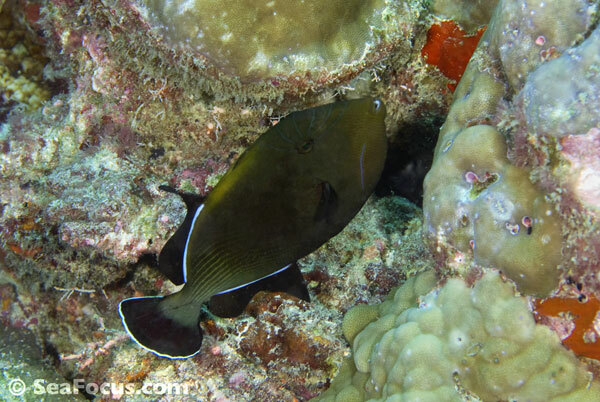 While a couple of triggerfish grow to about a metre long, most are between 10 and 30 centimetres. 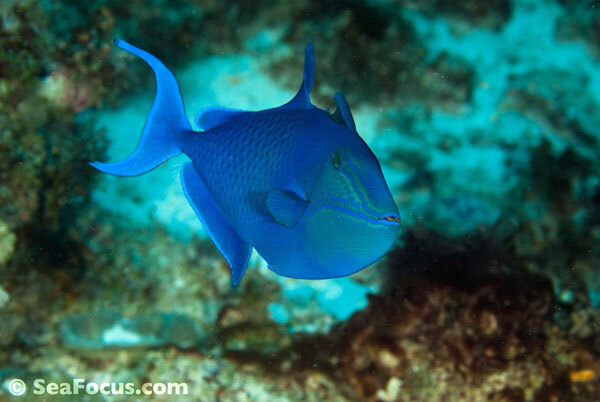 They are colourful fish and highly decorated, yet despite their visual appeal they tend to be much disliked by divers and usually for good cause – these are grumpy, bad-tempered fish! 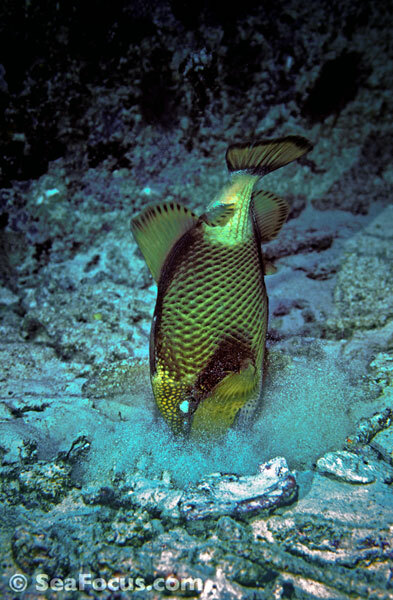 Their reputation comes partly from their shape with a large head, tiny eyes and a small mouth packed with strong teeth that have been adapted for crushing shells. 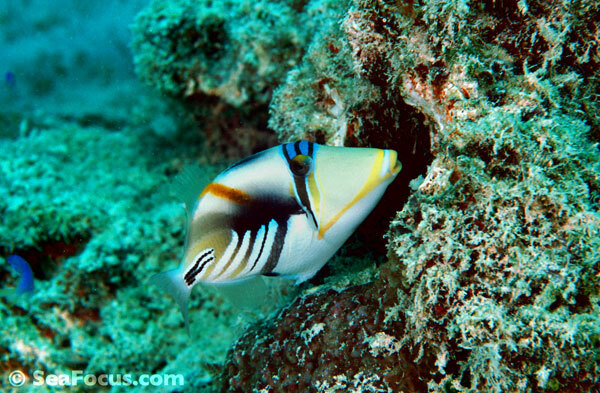 However, what really built their reputation is the way a few become incredibly aggressive when guarding their eggs. 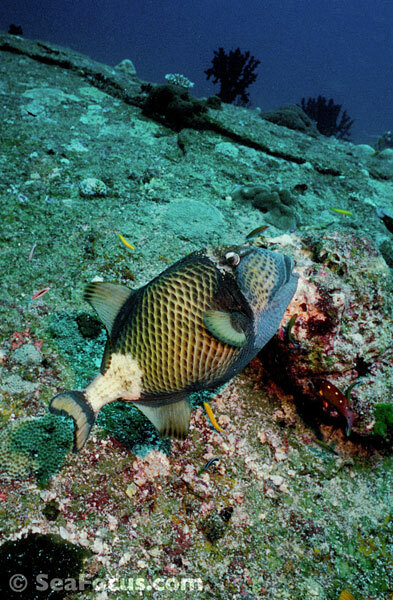 Both the picasso (Rhinecanthus aculeatus) and titan triggerfish (Balistoides viridescens) viciously defend their nests against intruders, including divers. 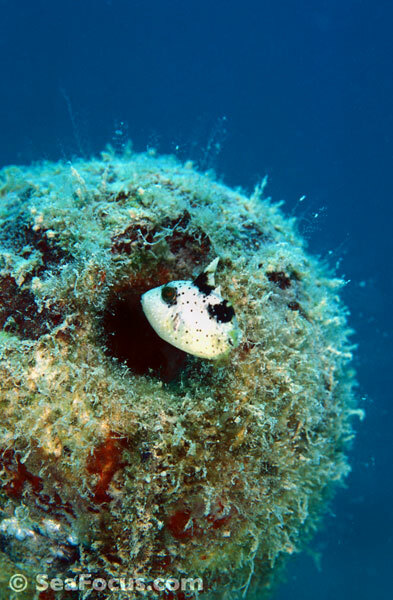 Their territory extends around the nest as well as above it on a cone shape that rises and expands in the water column. 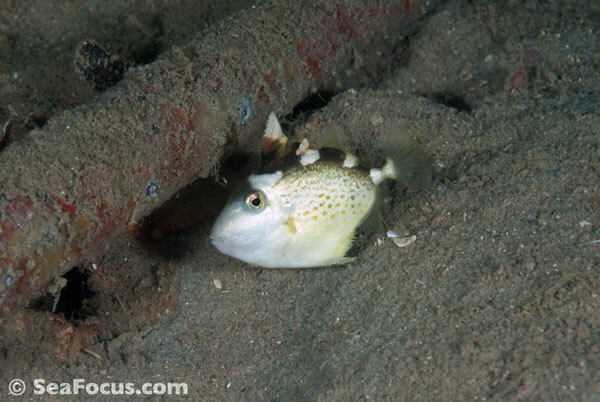 If you see a nest site, the best tactics is to remain at the same depth as the fish, then back off. 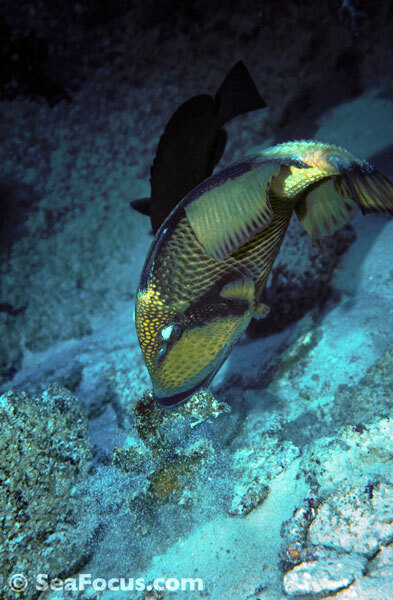 Titan triggerfish can be one of the biggest threats to divers due to those powerful teeth and aggressive nature. 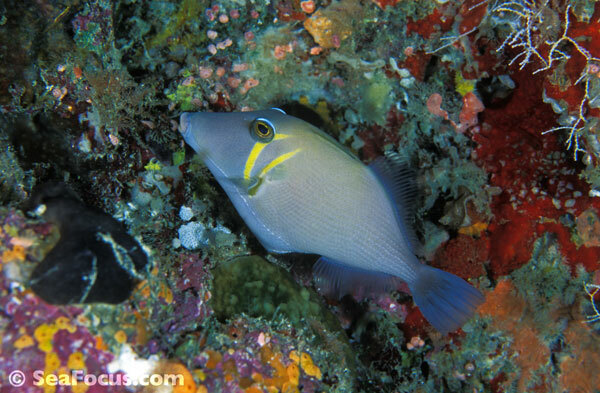 Their name comes from their anterior dorsal fin which is actually a set of three spines. 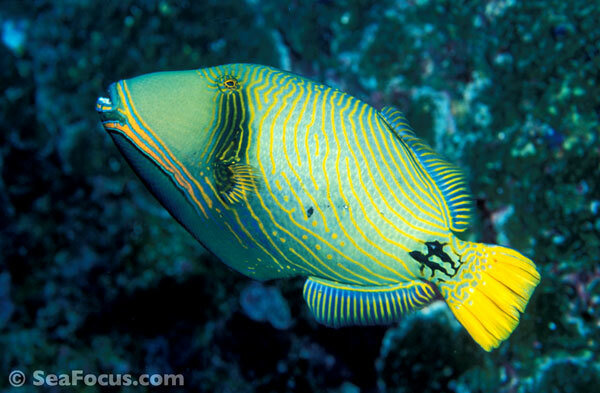 To protection themselves against predators, triggerfish raise the first two dorsal spines, locking the first in place with the the second shorter spine. 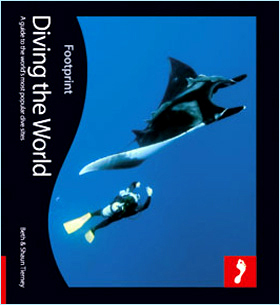 This is known as the trigger as it also unlocks the first when it is depressed. 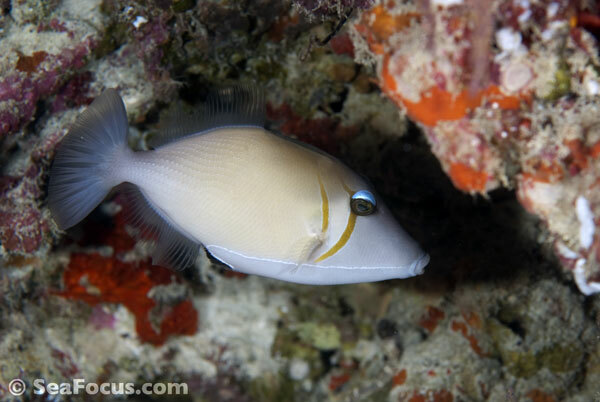 While Layang Layang is world-renown for it's steeply sloping atoll walls that drop off into the deepest of blue seas, there is also a shallow lagoon dive there that is often ignored. 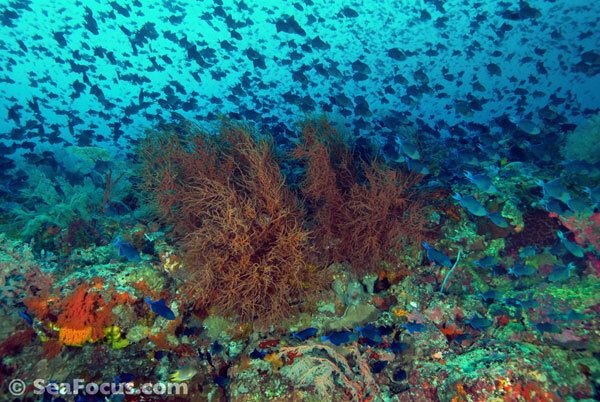 Most divers only venture into the water in the lagoon when there is bad weather and that's a shame as it is an amazing nursery ground.